MMM. Here are some silly pictures of me and my best friend Sharon and the best cream puffs I have ever had (besides my Grandma's). 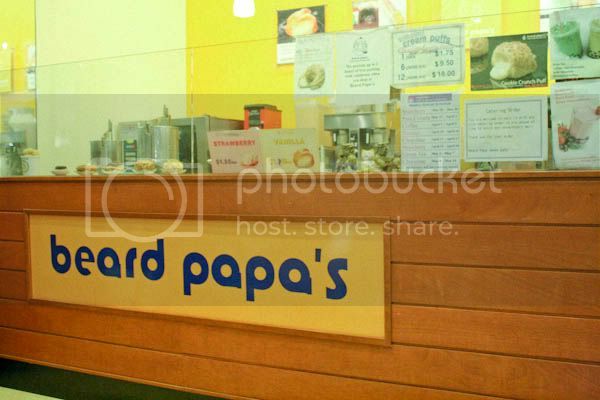 Beard Papa's was in a mall in Little Tokyo, next to some equally delicious looking desert places. Seriously, it was so hard to choose, but we did -- and I'm glad we got Beard Papa's! Obviously, his cream puffs were delicious. I got the one with the chocolate on it....SO good. I am a chocolate lover though, and for those who aren't there were the plain ones. And, his name is Beard Papa. And he's adorable! What's not to love? 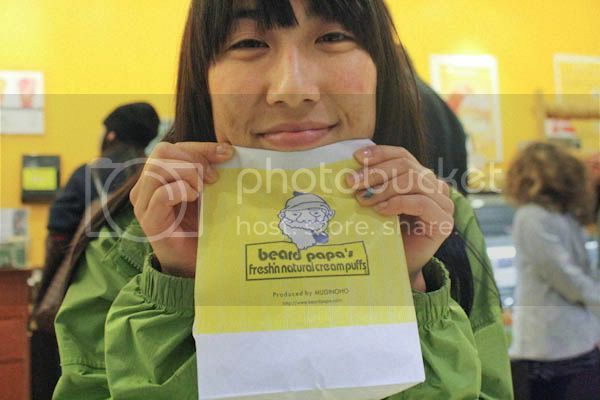 Beard Papa originated in Japan, or the owners are from Japan, I can't remember, but I felt like that my uncles started the place, I just felt so at home (you know, because they're Japanese and I'm Japanese, so...:D). 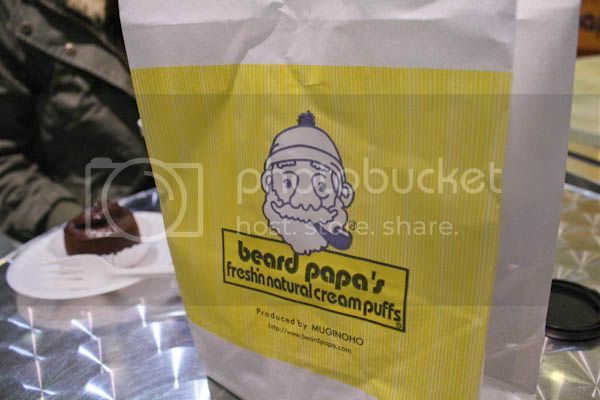 Be sure to check it out Beard Papa's stores -- they are spread out everywhere. I'll have to figure out a recipe soon!